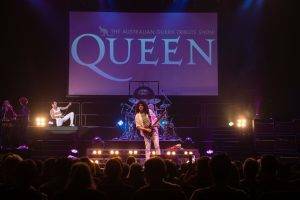 Last Saturday, 9th of Feb, Queen Forever played to a sell out crowd of 2,400 mad Queen fans at The Crown Theatre in Perth. 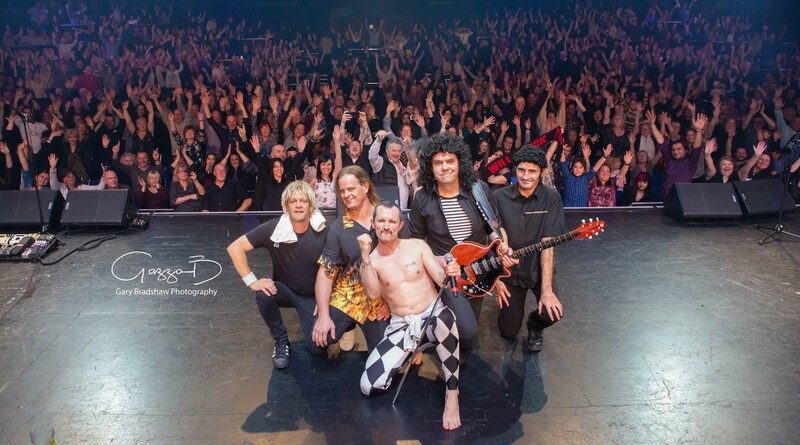 It was a massive evening of Queen hits with a lot of crowd involvement and some very special moments. 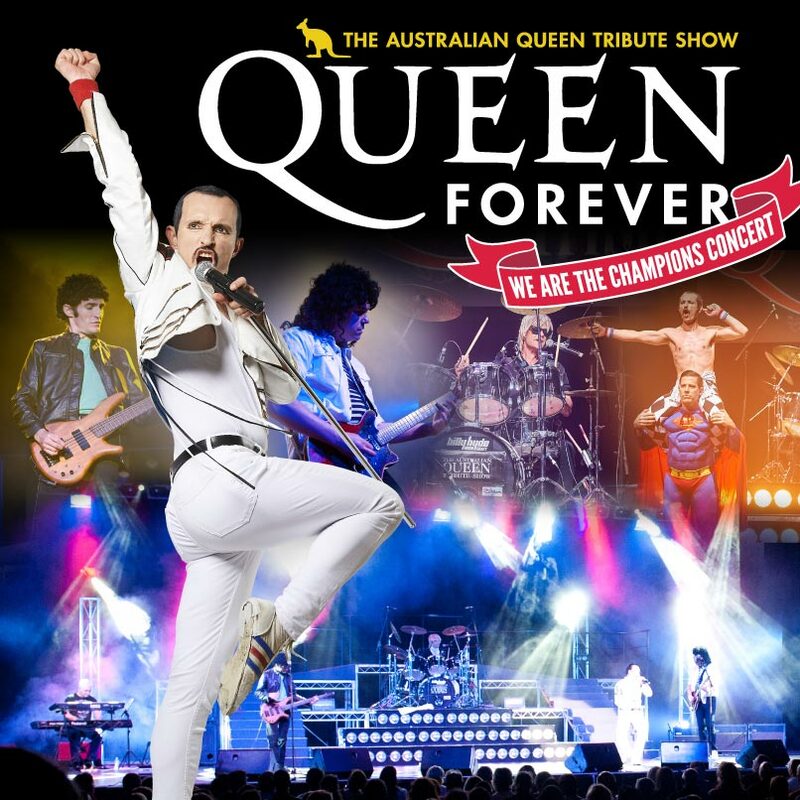 No doubt encouraged & inspired by the international smash hit movie, Bohemian Rhapsody, which has dominated not only the box office but run away with awards across the globe, Queen Forever were ON FIRE!!! 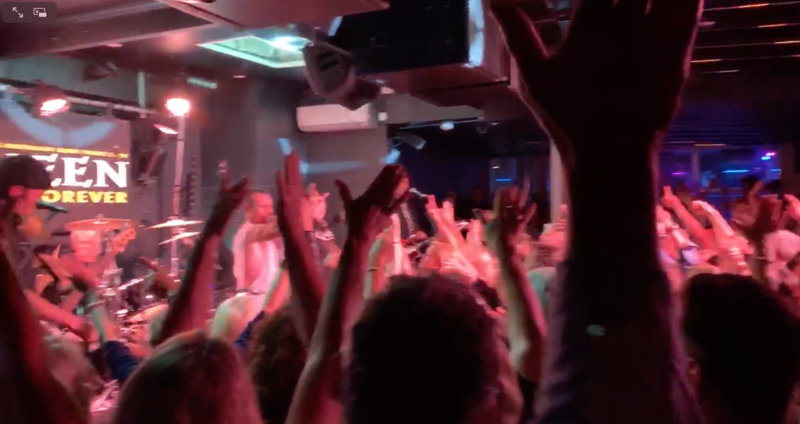 The band was inundated on social media with feedback immediately after the show with some fans saying it was the best show they’d ever seen! 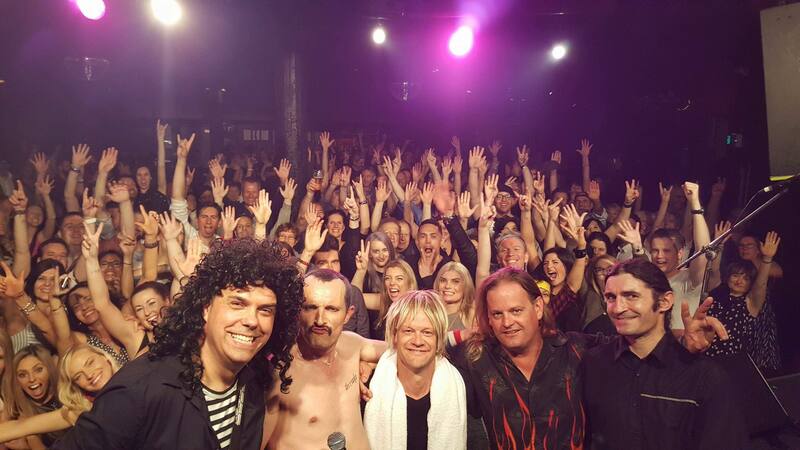 “Fan bloodytastic show last night , your were all awesome 👏👏👏👏👏. “What an absolutely epic show you put on for everyone who was there. “I’ve seen many musicals/concerts and this is by far, one of the best! 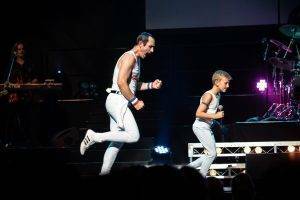 Undoubtedly the highlight of the evening was when Perth youngster, 9 year old Jayden Van Helsdingen joined Gareth Hill (Freddie) on stage and helped him sing Don’t Stop Me Now. He nearly stole the show, drawing huge cheers from the heaving crowd, reportedly posing for photos with fans at half time! Gareth as Freddie always loves to get the crowd involved and this show was no exception! 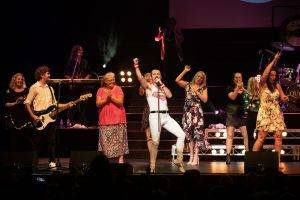 There were a bevy of Fat Bottomed Girls who stormed the stage at his invitation which made for a hilarious rendition of the classic song! 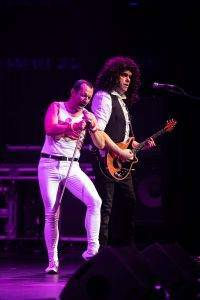 Scott Hotpants as Brian May shredded his way through both sets, filling the huge auditorium with echoes of the unmistakable Brian sound using his Red Special replicas and 9 (yes, 9!) Vox AC30’s creating a literal “wall of amps”!! Not since the actual Queen visited Perth were there so many AC30’s on one stage! 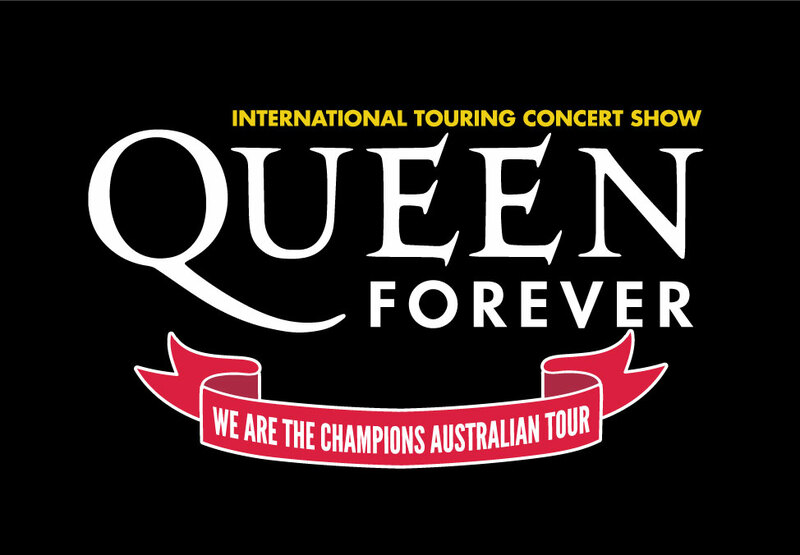 Queen Forever are fast becoming one of the most in demand Queen Tributes in the world! Keep an eye on our Tour Dates page for details of a show near you!! 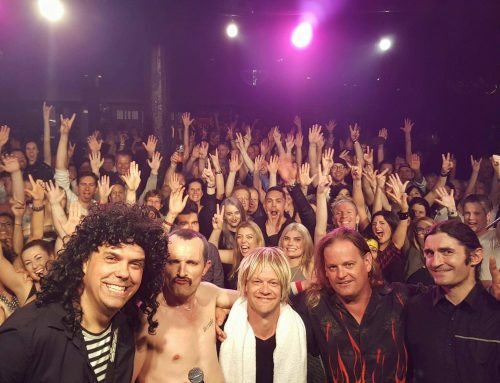 Here are some more great photos of what was one hell of a gig! !